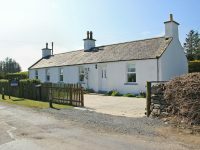 Period cottage with wonderful views of Merrick mountain and open countryside. 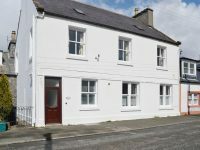 This well-presented stone built property, has been refurbished in the summer of 2016, but still retains many original features and charm, offering cosy country living with 21st century comfort. Nested in a peaceful private position, within walking distance of all local amenities. 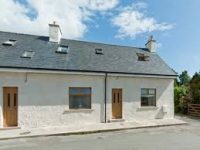 Located overlooking the beautiful countryside, on the outskirts of the picturesque village of Kirkcowan with its friendly country pub. 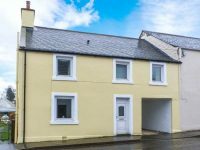 Within easy reach of the historic marketing towns of Newton Stewart, Gate House of Fleet and Kirkcudbright (popularly known as the Artist town), with their excellent festivals, leisure and shopping facilities. The immediate area is a paradise for walkers, hikers, cyclists and mountain bikers with numerous glens, country trails, nature reserves, forestry tracks and costal paths including the wonderful Wigtown Bay, Luce Bay, Solway Firth coast line and the splendid Galloway National Park to explore. Glentrool is close by and offers forest walks, from the view point at Bruce’s Stone you get magnificent views down the Loch which is also home to an RSPB bird reserve. The 7stanes series of mountain bike trails are on the doorstep, described as ‘global superstar’ of tracks graded from easy to severe. Loch Ken offers a huge choice of watersports and the longest zip wire in Europe as well as a human slingshot can be found at a outdoor activity centre which is a short drive away. The Cocoabean Factory, at Twynholm is a great day out for younger children there are chocolate workshops and excellent indoor and outdoor play parks to enjoy! when you walk into the cottage you will find the lounge which has lovely views across the open countryside, cosy log burner and a smart TV a great space to catch up and relax after a day exploring the beautiful surrounding area. From the lounge you will enter the kitchen which has a lovely stone feature wall, electric oven and hob, microwave and fridge/freezer, there is also a utility room with washer/dryer. Along the hallway you will find the bathroom with shower over the bath and WC. The double and twin bedrooms are opposite and both offer comfortable and relaxed accommodation with views across the stunning hills and pretty garden. Outside there is a lovely enclosed garden with a further 10 acres of land and woodland to explore and there is private parking for two cars. 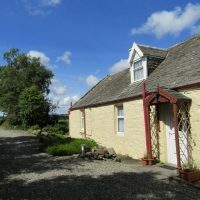 Poppy cottage is a charming and deceptively spacious self catering holiday home located in the pretty village of Bladnoch near Wigtown in Dumfries & Galloway. 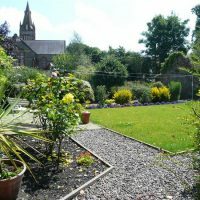 Our holiday home is an ideal base for a couple or family who are looking for a relaxing break away. Our holiday cottage is set over 2 floors. 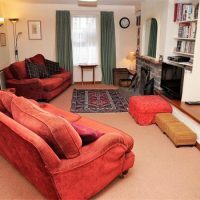 There is a Hall, large comfortable sitting room with TV and DVD, spacious kitchen with dining area on the ground floor and on the first floor guests will find a double bedroom, twin bedroom, well equipped kitchen, family bathroom and an additional separate cloak room with WC & wash hand basin. Outside of the holiday home is a pretty garden, where you can sit and enjoy watching the world go by. It is a lovely space to relax at any time of day. Wigtown, Scotland’s book town is half a mile away with over twenty bookshops selling both second-hand and new books. There are also a variety of local services including pubs, shops, bank and a golf course. 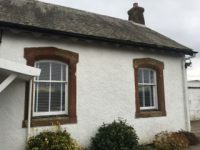 The magnificently restored 19th century Town Hall with its library and viewing gallery overlooking Wigtown Bay nature reserve, is a must for any visitor. Annual events held in Wigtown include the Spring and Autumn literary festivals and book fair in May. For the more adventurous, the surrounding area provides excellent walking, cycling and bird watching opportunities amongst the hills and lochs of the Galloway Forest and along the beautiful sandy beaches close by. Sea, game and coarse fishing are also available. The sitting room has a lovely woodburning stove and for entertainment, there’s an HD flat screen TV and DVD player, along with a piano in the hall. Park Cottage is a former rectory within Galloway House Estate. In 1740 the Earl of Galloway chose this exceptionally sheltered bay to build his mansion and develop a Capability Brown inspired garden. You can still make out the avenue where the rector rode his pony to the mansion house chapel. The stable is now our log store. Today our visitors can enjoy 23 private acres of this listed landscape with the sea and venerable trees to the east and open fields and the old laundry just visible to the south. Enjoy the summerhouse and watch the fishing boats sailing by or perhaps catch a glimpse of the abundant wildlife in the garden. Sleeps 6. Three bedrooms, two en-suite shower rooms, with third main bathroom. All on one level. 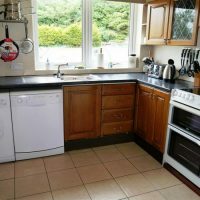 Large (46m2) living space with kitchen, living. dining room with wood stove. Travel cot and highchair available, no extra charge. 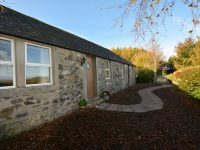 Surrounded by stunning countryside and near superb beaches, this spacious, airy cottage is the ideal base for making the most of all the nearby outdoor activities and beautiful Dumfries & Galloway. 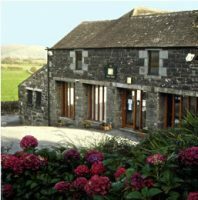 Our eco-friendly barn conversion offers more than just a roof over your head while you’re on holiday. Family friendly and suitable for groups, our single story self-catering cottage is comfortable and welcoming. On a practical level there are three bedrooms sleeping 6 people with two bedrooms offering en-suite shower, sink and WC. There’s also a third bathroom with large bath next to the master bedroom. There is a spacious living/dining/eating area with wood-burning stove. Walk out the door and you can climb an Iron Age Hill Fort for one of the most stunning views of the Wigtown Bay Estuary and Galloway Hills. Jump in the car and in five minutes you can explore a sprawling garden walk and Rigg Bay beach in Garlieston. The water is shallow and perfect for little ones. Bigger ones may enjoy the climb up the coastal path to the remains of Cruggleton Castle. On your bike you can explore all of the Machars Peninsula on quiet roads. Or for the more adventurous, head to Kirroughtree Forest Park near Newton Steward and tackle one of the Seven Stanes mountain biking courses. Orchard Cottage lends itself to family games with the wood stove roaring away. But exploring Wigtown, Scotland’s Book Town is a must for any visitor. There are book shops to keep all readers of all ages happy. Highly recommended is a visit to The Bookshop, immortalised in Shaun Bythell’s critically acclaimed The Diary of a Bookseller. Scotland’s largest bookshop, it really has a book for everyone. Come in early spring or later in autumn for fantastic views of the night sky. You can wander up our Hill fort for a quick peak. For more of an adventure, drive the short distance to the UK’s only Dark Sky Park in the Galloway Forest. Inside the house has games and books for younger visitors. Outside there is a playhouse and slide in the courtyard and a swingset in the paddock next to the cottage. 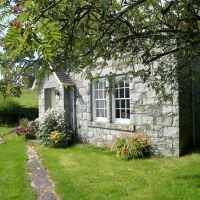 Orchard Cottage makes an ideal base for groups wanting to attend the Wigtown Book Festival that is held at the end of September – set up your own book club discussion group in the living room! 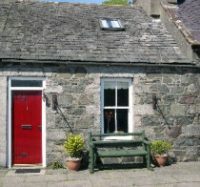 Welcome to Kilfillan Holiday Cottage, Garlieston, Dumfries and Galloway in south-west Scotland. 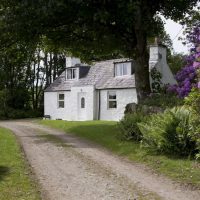 Kilfillan offers the perfect base for exploring this beautiful corner of Galloway, with miles of spectacular coastline, woodland walks, stunning hills and forests and a varied range of visitor attractions. A typical Scottish laird’s house, in an exceptionally quiet place of ancient culture and deep peace just a couple of miles from the sea. The remoteness of this peninsular at the mouth of the Solway Firth makes the star-gazing second to none. Situated in Newton Stewart, Barnkirk Holidays features accommodation with a flat-screen TV. Complimentary WiFi is offered. An oven and microwave are also featured, as well as a kettle. Nestled in a peaceful area in southwest Scotland and yet within walking distance or a short drive from Newton Stewart for shopping and the gateway to the Galloway Forest Park, there is plenty to see and doin Dumfries & Galloway. This is an ideal spot for mountain biking, we are close to Kirroughtree and Glentrool, part of the 7 stanes. We can offer short breaks all year round. 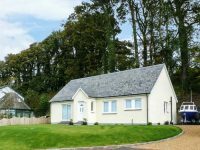 A cosy cottage in a peaceful, secluded location and with fine views of the surrounding countryside. 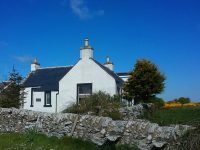 The cottage is an excellent base for exploring this delightful area. Convenient for forest walks readily available in the nearby extensive Galloway Forest Park, Britain’s first designated Dark Sky Park, easy access to the Southern Upland Way, and for the more adventurous there are plentiful opportunities for hill walking. Located throughout south west Scotland are a large network of cycle tracks including stages of the Forestry Commission 7Stanes mountain bike network, with the local stage being at Kirroughtree. A variety of beaches are within easy reach, and there are several golf courses nearby. 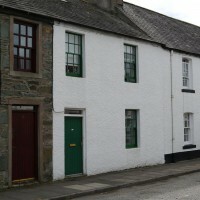 Newton Stewart is within three miles, offering shopping and recreational facilities with a variety of hotels and pubs for eating out. 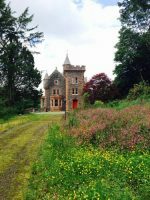 Set in Newton Stewart, Machermore Castle West Lodge provides accommodation with access to a garden. Offering mountain views, all units come with a kettle, a flat-screen TV, ironing facilities and a living room. A balcony with river views is offered in each unit.